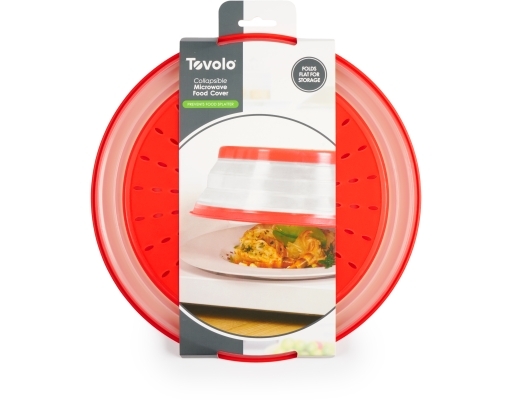 Tovolo's Collapsible Microwave Food Cover helps keep food moist and keeps the inside of your microwave clean by preventing splatter. 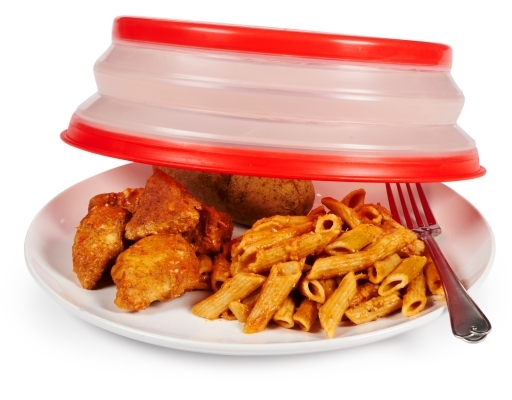 The vented holes allow steam to release evenly, preventing condensation. Designed to fit standard-size plates, yet stores easily, because it is collapsible. 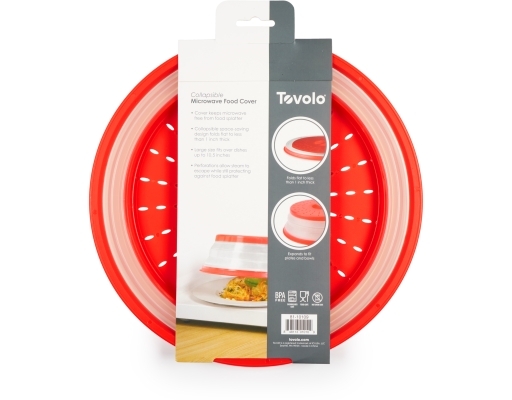 An absolutely essential kitchen tool.